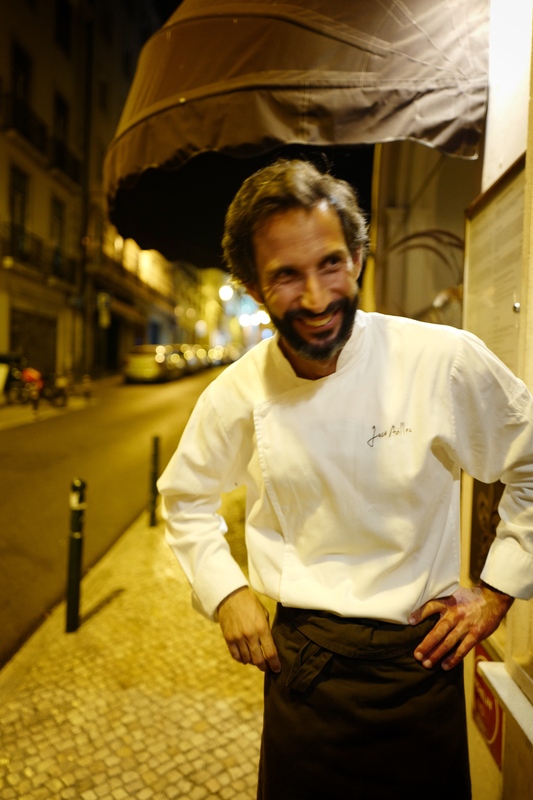 José Avillez is one of the most famous chefs in Portugal. He is very sensitive to the world of art and History. Belcanto is José Avillez’s two Michelin stars restaurant in Lisbon. T.F. : José, I can see that History and traditions are very important in your country. Could you relate it to gastronomy? J.A. : Yes of course, imagine that what we are now as a country, a gastronomic country, we are only because of historical discoveries. So, before that, our food was less rich than it is today. So, it’s impossible to go around it and not to consider that as one of the most important things for our country. T.F. 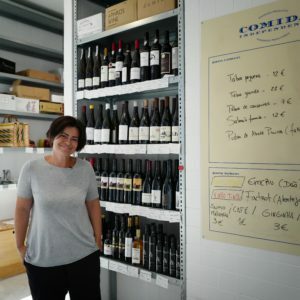 : Can you see influences from abroad today in the Portuguese gastronomy? J.A. : Yes, we are one of the only countries in Europe that use cilantro, as part of our almost everyday-food, especially in the South of Portugal. We use white rice as a garnish for many different things like the Asians, South-Americans or Latin-Americans do. We use a lot of cinnamon as a spice. But also, you can find desserts in Thailand that will make you think of Portugal. Or the Japanese tempura, that everybody knows well, is coming from Portugal too. You know pasteis de nata? People in Asia think it was made in China, but no, it’s Portuguese. So, we took a lot of influence, ingredients, techniques, and we brought a lot of influence too. T.F. : How about the taste? Did it change compared to what the older generation used to do? J.A. : I think it changed a lot. I think people in the big cities can travel more and they now have a different relation with contemporary cuisine. 10 or 8 years ago, people were very fanatic by the traditions, they didn’t want to change anything. But that thing happens always in countries that have a very rich gastronomy, a very traditional gastronomy. People feel that it’s part of their identity and they don’t want to change and I think you need to respect that a lot when you are changing. But now people are accepting more and more contemporary cuisine. T.F. : Is there a new artistic wave now in Portugal? J.A. : Yes, for example the MAAT. A museum of art, architecture and technology in Lisbon. It’s very interesting to see this kind of artistic project starting in the city. There is a lot of artists travelling more and more and being well known around the world. And I think that it inspires us, chefs to continue developing. For me, food is an expression of art. Just like chefs, I think that the Portuguese artists are inspired by the Portuguese culture, Portuguese discoveries and Portuguese History. T.F. : Is there a young Portuguese chefs scene coming up? J.A. 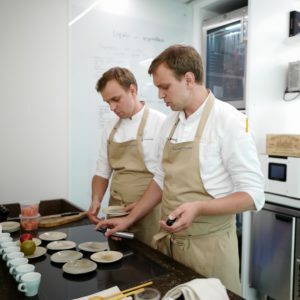 : Yes, I think it started around 6 years ago, but the last 3 were quite strong and now we have about 15 or 20 young chefs developing their work. Actually, this is good for tourism. People come only to try and taste the Portuguese gastronomy. So, I think one of the must in Portuguese culture is our cuisine. T.F. 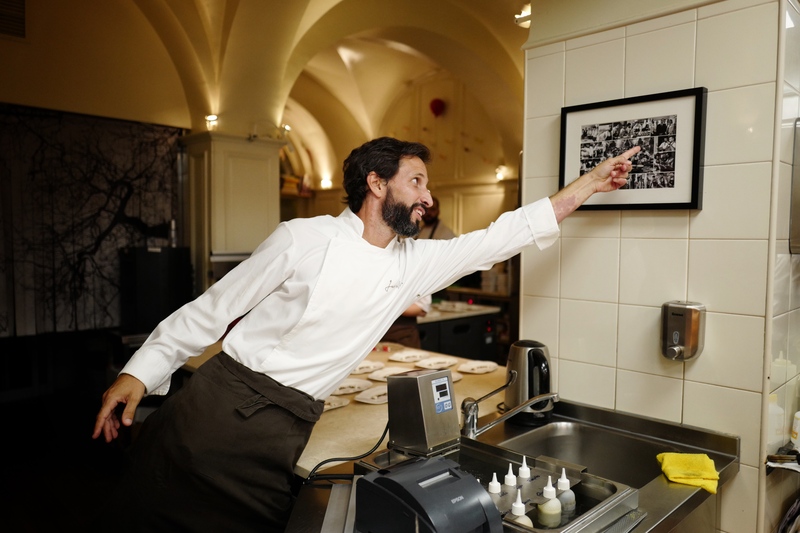 : Is there a strong relationship between the Portuguese chefs and the young ones? J.A. : Yes, I think we have a strong community between chefs now in Portugal, stronger and stronger. You have a lot of different influences with people that worked abroad: in Spain, in Scandinavia, in France. 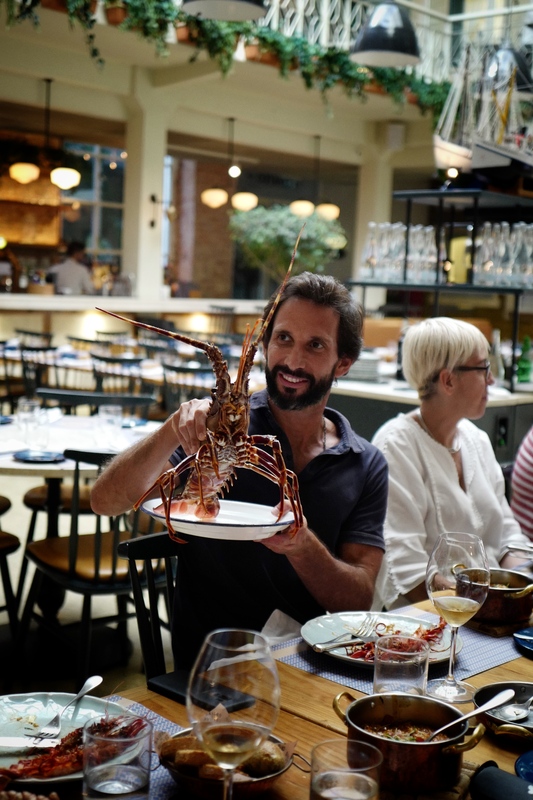 Now they are putting together their own identity, their own cuisine with Portuguese ingredients and culture. And there’s a place for everybody. T.F. : How can you describe your cuisine? J.A. : On one side it’s quite hard to describe because I don’t really like labels that force you to make some things. It’s easier if you talk about contemporary Portuguese cuisine, it’s very wide. 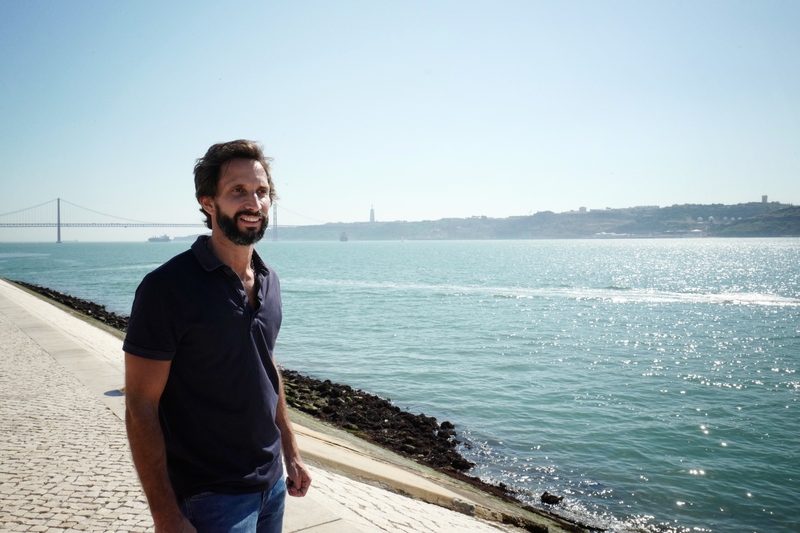 I’m inspired by Portuguese History, culture and traditions but also in poets, landscapes, in Portugal as a whole with the people and traditions. T.F. 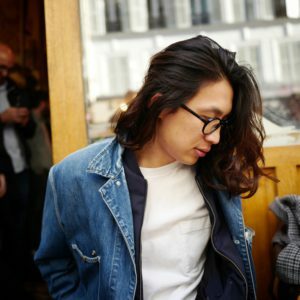 : What is your philosophy regarding the products? J.A. : It represents a lot. We try to buy 95% of the seasonal ingredients in Portugal but we still have these 5% from abroad, because of our History also. What we try to deliver is something that has our identity and our soul. I think the biggest challenge for a chef in a country that has amazing food traditions is to deliver the soul, in a contemporary way. Some dishes may look very simple but they can have 24 or 48 hours of preparation. But then, it seems to be something quite simple. Because I want to people to get that soul and to not get lost in translation. T.F. : How did your passion begin? J.A. : I love food since I was a child. Then, when I was a kid I used to bake cakes with my sister and to sell it to the neighbors. Then one day I thought, why not being a chef? I didn’t know what it was exactly. The only references I had were from TV. In Portugal, 25 years ago, there were maybe one or two chefs that people knew, especially French chefs, not Portuguese. Every time that I think about food, I have this feeling that I want to create with different ingredients, different experiences and flavors. That’s why I created so many concepts, so I can do different kinds of cuisines, more contemporary, more fun. I thought about one dish but it didn’t fit here or there so I told myself, “let’s create a concept”. It’s quite crazy but we did it. Now, things are different from when I started, I have a big family, a big team so it’s more about making a big team work. We are creating together. I still have time for myself to create but then I share it with my team. T.F. : How do you create? How do you find inspiration? J.A. : Sometimes I look at an empty plate, sometimes I look at an apple, and think what I can do with that. And sometimes, I’m eating a soup and I feel something. Or even sometimes I don’t even have any inspiration. I look in the kitchen, to find it. You need to be open to find inspiration. T.F. : What is the main intention that you want to bring into your food? J.A. : I like to give pleasure to the people who sit at the table, no more than that. T.F. : What do you think food can bring between the human beings? J.A. : Happiness. The Portuguese word “comer” which means “to eat” comes from Latin “to eat with” so it’s like to share, eating together is about sharing, to share your secrets. I try to bring that to the people who sit at the table. T.F. : And now, more personal questions… What is your favorite comfort food? J.A. : Sometimes I just eat tomato with salt and olive oil and that’s it. T.F. : What would be your last dish? J.A. : I think a a good piece bread. With butter. T.F. : And you would share it with? J.A. : With my kids and my wife.